If you are looking for extremely small interior wall lighting options that can be used for low level lighting or stairway lights then the Halo round 1 watt recessed LED wall light should fit the bill. 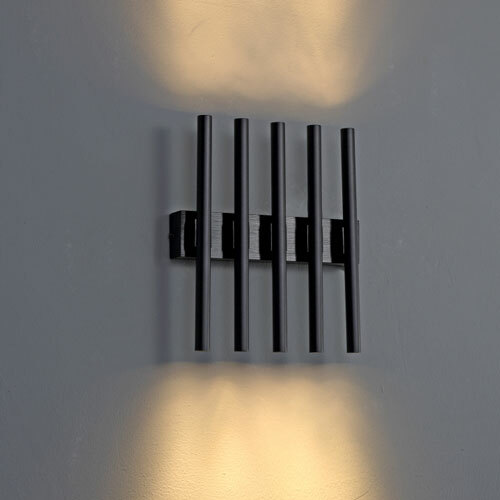 If you purchase several of these light together they will make perfect step lights to light your stairway providing safety and interest to your home or hotel staircase. 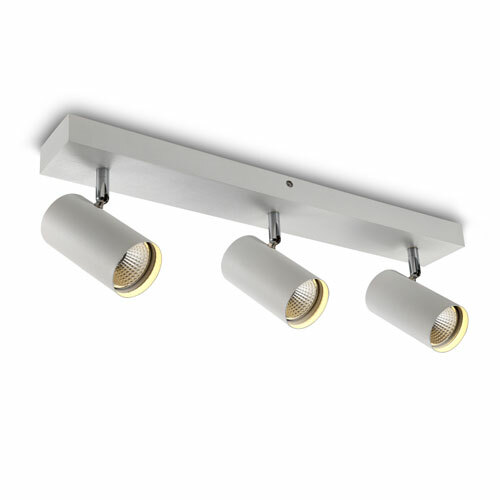 These lights feature top of the range 1 watt CREE LED and has an output of 70 lumens. 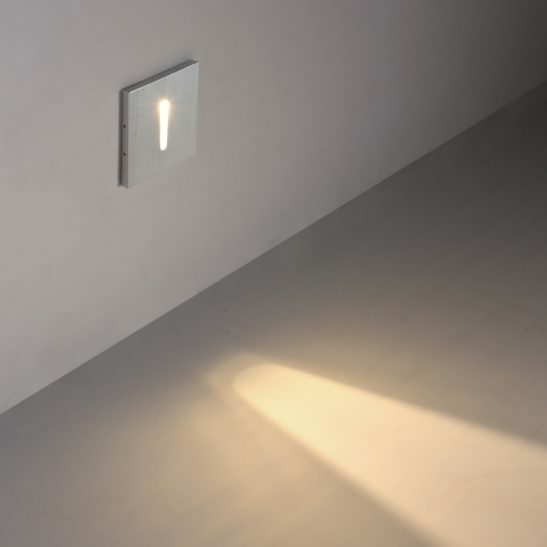 The actual beam of light for this light shines from the sides of the light giving a soft glow to your wall or stairway. 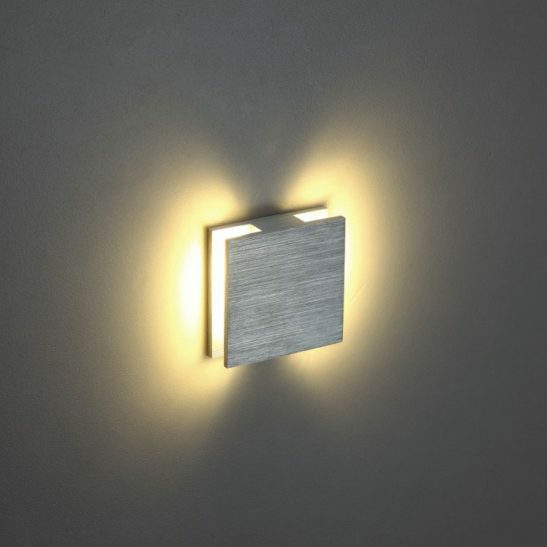 Made of attractive brushed aluminum these LED step lights comes with both the drywall and concrete installation supplies. 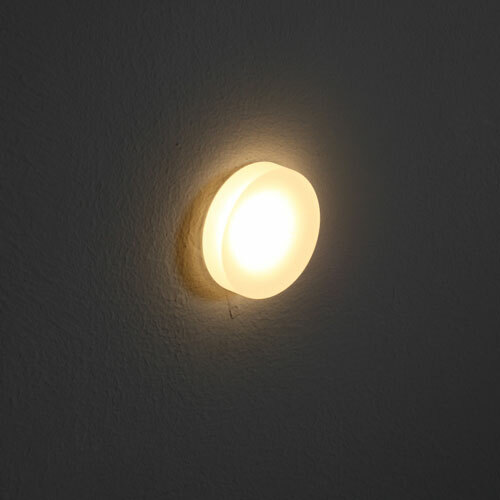 The light connects into your 240 volt main and needs to be installed by a licensed electrician. 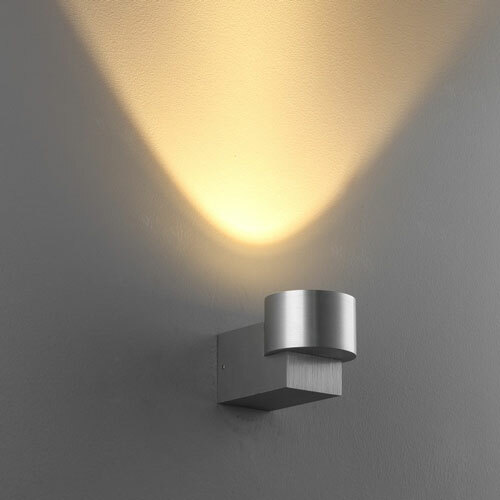 The LED driver fits into the wall void leaving you wall looking fresh and uncluttered. 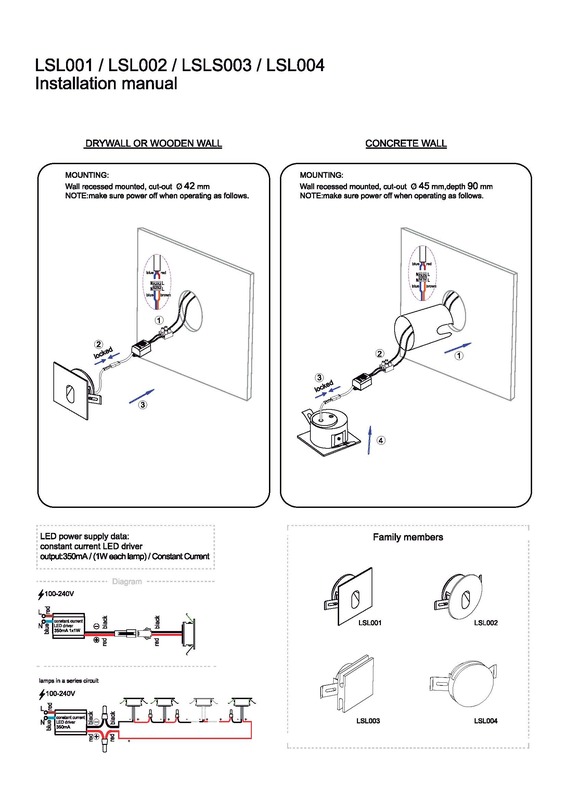 The light fitting measures 48mm by 48mm. 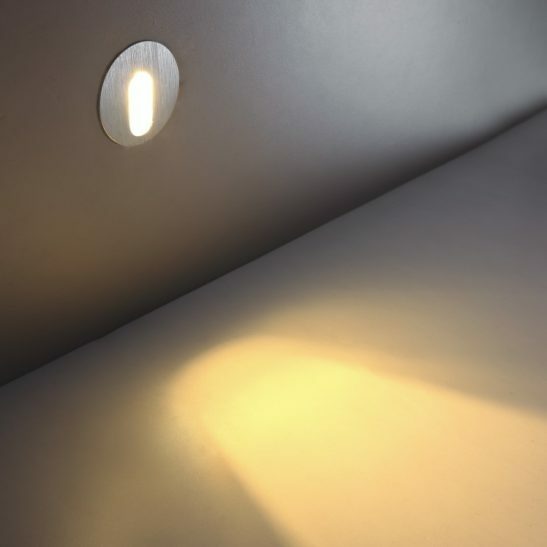 The Halo round 1 watt recessed LED step lights are designed to give you an astonishing 20,000 hours of maintenance free light. 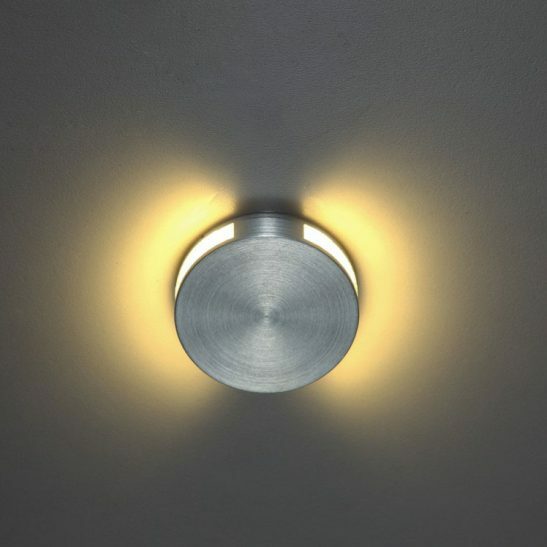 The LED is hardwired right into the light so you will never have to change a single light bulb. 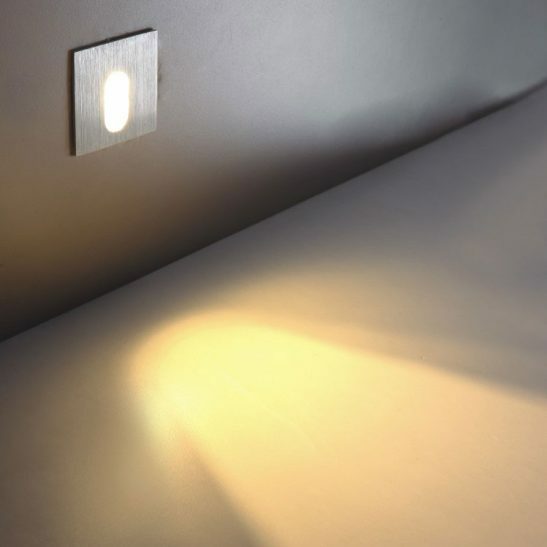 Highly energy efficient, these LED step lights cost far less to operate than more traditional types of lighting, which will save you money. For those of you are concerned about the environment, you will be pleased to know that this light is 100% recyclable. This light also comes with a 3 year guarantee. Please note: If you wish to series wire these fittings please contact us as we will need to supply a different driver, if you purchase and try to use your own driver the guarantee will be invalid.